It’s always inspiring discovering the raw talent that exists in your home country. It’s always inspiring seeing individuals thinking outside of the box, trying something new and innovative and not caring about the criticism that my come from narrow-minded people. Aristos Christodoulou is one of those people. Always standing out from the crowd for his unique sense of style, Aristos has decided to transform his distinct way of thinking into the first online fashion magazine in Cyprus and has left everyone with their mouths wide open. Going through the editorial pages of GREY/BLACK, it is obvious that this magazine does not fall short from any international magazines out there. 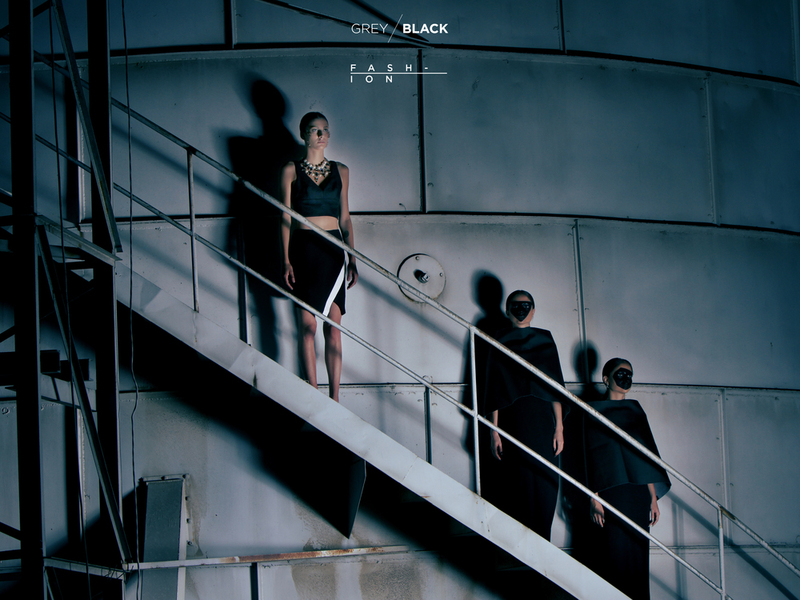 Dark concepts and themes, crazy make-up, perfect styling – that’s what GREY/BLACK is all about. I was lucky enough to interview Aristos, the editor of GREY/BLACK, and find out more about him and his vision for the magazine. Q: How was the idea behind GREY/BLACK born? A: Returning in Cyprus from my studies in London I felt the need to create something of my own, creative yet different that did not have guidelines and limitations. Been obsessed with fashion blogs and online publications I knew that I wanted to form a hybrid of the two, this is the concept behind GREY/BLACK. I wanted to create something visual in a scrolling down format, used in blogs, but with editorial content. The name GREY/BLACK came from my two favourite colours grey and black. Through GREY/BLACK I wanted to express my personal taste in fashion, art and design, fields that form me as a person. The dark aesthetic of the magazine emerged through themes of constant inspiration, such as witches, horror films and sci-fi movies. Q: What makes GREY/BLACK different from other magazines in the market? A: What makes GREY/BLACK different is its format and aesthetic. GREY/BLACK magazine is an editorial magazine, strictly visual with small paragraphs describing the theme of the issue or the editorial. Considering that Internet is instant, I didn't want to add news and articles to the magazine's issue. This is the main reason I formed GREY/BLACK DAILY. A portal uploaded on a daily basis covering news, online shopping finds and Likes. The magazines in Cyprus have limitations in terms of aesthetics and content, field with expired stories and editorials field with what their clients want to sell. I try to work with new talents local and international, alternative brands and clothing that can be reached through the internet. Q: What is your typical day like as the editor of GREY/BLACK? A: My typical day, is literally, sitting in front of my computer. I am constantly online, either editing the site or working on the next issue. On a daily basis I am viewing press releases, booking models and photographers for our shoots, talking to PR companies and at the same time viewing huge amounts of international magazines. Q: Where do you draw inspiration from for your editorials? A: I always have dark themes in my mind. I get inspired by random things, images, pieces of clothing or news. I draw inspiration from abandoned and moody locations that denote darkness in unexpected ways. Q: Which are your favourite magazines, designers and style icons? Q: If you were to work with internationally acclaimed individuals from the fashion industry, who would they be and why? A: I would love to work with Panos Yiapanis, he is a constant source of inspiration for me, his work completely expresses my aesthetic. Also Christene Centenera, I believe that her aesthetic for women's wear is impeccable and super modern. In my opinion she raised the bar on behalf of Australia's fashion. Q: What is your vision and ultimate goal for GREY/BLACK? A: My vision for GREY/BLACK is to grow more internationally, continue to work with new talents and brands that I believe in, to work with acclaimed individuals and eventually going abroad. The ultimate goal for GREY/BLACK is to get established in the industry as a modern day publication. All photos are courtesy of GREY/BLACK magazine.